One of the major symptoms of hypoglycemia is insomnia. Anyone who has suffered from insomnia will tell you just how this symptom can have an extremely detrimental effect on everyday life. There are a number of methods that you can adopt to help you overcome insomnia. The most obvious solution is getting plenty of physical exercise as well as eating foods which contain protein before bedtime which can also be very beneficial. Overcoming insomnia completely can take much time. If you are a sufferer of hypoglycemia then it is likely that at some point you have suffered with some form of insomnia. Some hypoglycemics have a problem with falling asleep; their mind just will just not slow down and whizzes around with thoughts of the day. Others with hypoglycemia have trouble staying asleep, finding that the slightest noise or movement will wake them up. In my ebook I provide a list essentials tips for overcoming insomnia- here are just some of them. The benefits of exercise are enormous, but to an insomniac they are literally life changing. Research has shown that those who exercise have fewer episodes of insomnia and that certainly has been my own experience. When I do not exercise even to this day I find it much more difficult to fall asleep and so have to to ensure I get a good nights rest. This requirement is an absolute must for the hypoglycemic with insomnia. If you are regularly kept awake by your insomnia then try eating a boiled egg or two before bed and see how you feel. Other snack ideas include protein shakes, and cottage cheese. Tip 3: Make your room dark and quiet. Your place of sleep should be as dark and as quiet as possible. Many insomniacs are light sleepers, woken by the slightest of sounds. One way to overcome this is to ensure you sleep somewhere that is as quiet as possible. One way of darkening your room is by purchasing blackout blinds to ensure no light gets in at all. By learning a few simple meditation exercises you should find that your racing mind calms down to ensure that you fall asleep. There are many articles and books to be found on the net that will give you tips on how to successfully meditate. In my ebook I provide you with a step by step guide as to how meditation can help you if you are struggling to get your mind to stop racing. For me meditating before bed has proved invaluable in helping me beat my insomnia once and for all. Hypnosis is another method used by insomniacs unable to sleep. I tried this method; however, as I was not able to afford the cost of regular hypnosis I simply purchased a hypnosis CD to listen to in bed. 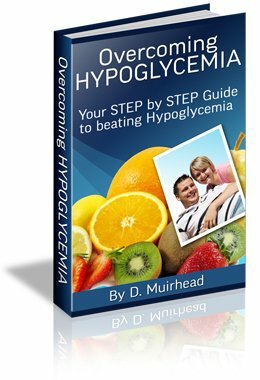 For the rest of my tips on beating insomnia please see my ebook Overcoming Hypoglycemia or check back here for updates. Want detailed step by step information on how to beat insomnia ?